Andorra is a Pyrenean Paradise tucked between France and Spain. Add this beautiful place to the list of countries you have visited. Or relax on the beaches of the Costa Brava. It is all here. The marvellous, sunny resort town of Roses is perfectly positioned on the Costa Brava for this wonderful NEW tour this summer! The Hotel Nordic El Tarter is a firm favourite with Bakers Dolphin and when you visit you will see why this really is a tour not be missed. Spain is one of the top destinations in Europe, famous for the influence of multiple civilisations on its culture and architecture. 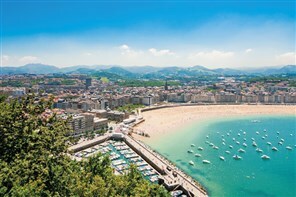 On our NEW fantastic tour, we visit Salamanca, Madrid and San Sebastian.